A new customer sees your company’s website, a post on social media or a testimonial from a satisfied client and reaches out to learn more. Getting a customer’s attention is never easy but now comes the hardest part — closing the deal. So how do you keep a potential customer interested when they have so much time to lose interest in your product? The answer is learning how to nurture your leads. What is a nurtured lead? Think of it like planting some cherry tomatoes — you start out with a handful of seeds and by paying careful attention to pests (competitors), giving it something sturdy on which to grow (your expertise) and watering periodically (direct outreach) one day that fruit will finally be ripe enough to pick and enjoy. When someone expresses interest in your company you never want to leave them hanging. Turning that lead into a nurtured lead means taking actions to make sure you are in contact with them from when they reach out to when they finally make that purchase no matter how long it takes. Why do you need to nurture your business’s leads? Simply put — your business can’t afford un-nurtured leads. What are the best ways to nurture your leads? 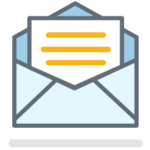 One way to make sure your potential customer never cools is by utilizing email automation. From there, set up that new lead on a series of automated messages to supply them the information they need to maintain the relationship in the weeks and months, maybe even years, ahead. What is an automated email series? 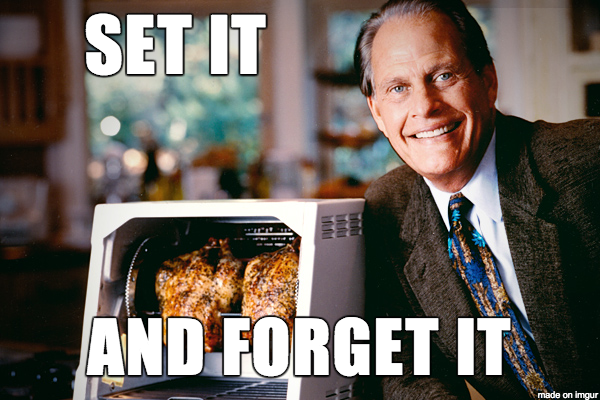 I always like to describe automated email series as the Ron Popeil “Set It and Forget It” of email marketing. Of course, you don’t really “forget it” but using an automated email series creates one less daily task for you as a small business marketer. An automated series of email marketing campaigns are sent to your subscribers in the order and frequency that you decide. The time savings you’ll experience when implementing an automated email series are substantial, especially if you follow our advice to grow your email list. Welcome Email (within 24 hours) – A winning Welcome Email greets your leads and makes them feel as if they are a part of something bigger like a family or a team. Our recent blog post on writing a winning Welcome Email provides all the tips and tricks you need to make a lasting first impression. About Your Organization (Day 3) – Give your new lead a look behind the scenes of your organization. Are there certain people you want to highlight (like the sales team or the office admin who greets them when they call?) Does your organization have a great story that helps to convince these leads to do business with you? This is your time to show your cards and add some personality. Features and Benefits (Day 10) – Now your lead needs to know what’s in it for them. How will doing business with your organization add value to their life or job? This is where you include certain things you think they need to know about your product or service and paint a picture of why they should buy. Client Testimonials and Press (Day 17) – Perception is key here! After greeting the lead and promoting the benefits of your product or service, you need to establish credibility. Incorporate some text or video testimonials into this email to demonstrate how other consumers, like them, have experienced your business. If you have some good press from a local news source, then include a snippet of the article with a link to the news site. Ask For The Sale (Day 24) – Now that you’ve laid some groundwork in nurturing your lead, it’s time to ask for the sale. In this email, you can offer a promotion or discount, or you can simply say, “Can we set up a meeting?” This is your chance to be direct and have a sole call-to-action: get them on the phone or in the office to close the sale. Of course, there’s no surefire way to build an automated email campaign, but at least this provides you with a basic idea of how email automation works to build your business. In the end, all the effort you put into your email automation development will undoubtedly pay out in spades. Turn your prospects into paying customers. Not every prospect is going to buy from you on Day 1, but that doesn’t mean you should overlook the importance of developing relationships and inching them closer to a sale. Start by asking your best customers why they decided to buy from you and let this guide the messages you create for your automated email series.